Create the most kissable cheeks with these professional blush brushes. With their pillow-soft texture and dynamic bristles, each hair glides over your cheeks to create a seamless application every time. These brushes are designed in accordance with the latest beauty trends in the industry. 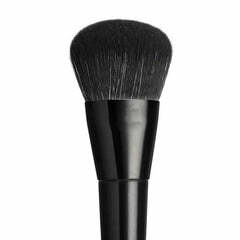 Use the stippling brush to dust highlighting powder, the contour brush to achieve chiseled features and the rounded brush to buff on pigments. Each makeup brush is animal friendly, offering both premium results with the goodness of being cruelty free.